So Google Maps hit version 6.8 yesterday, bringing with it the crazy Zagat/Google+ mashup that was detailed earlier. The "What's New" section in the Play Store lists "See reviews from experts and people you know," "Find just the right places with Zagat scores and summaries," "Get directions directly from map bubbles," but they left out the most interesting new change: "Unreleased feature assets buried in the APK." The XML that references these pictures is also new. They have names like "list_item_travel_history_segment.xml," which seems to suggest this is some kind of location history, and that check mark looks suspiciously like the "Check In" symbol used throughout maps. I have no idea why something like this would be useful, but it's interesting. Maps is undergoing a Google+ takeover lately. 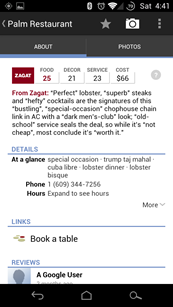 The Zagat integration saw Maps business pages move over to G+, and G+ friends can find your reviews now. It looks like next up for the all-encompassing social network is Latitude, Google's check-in and location sharing service. Latitude allows you to automatically share your location with your friends, but currently, you manage your location settings on a per-person basis. Expect that to change. The new version of Maps included files with ridiculously revealing names like (I'm not kidding) "latitude_migrate_to_circles_welcome_dialog.xml," so it sure sounds like G+ circles will be handling that soon. If I were to guess, I'd say soon you'll be able to say "share my location with my 'Close Friends' circle" and not have to worry about a setting for each person. Handy. Ok people, let's hear your theories, because I have no idea what a "bucketed_price_coin" could possibly be. You bizarre renderings of coin stacks that look more like stacks of Oreos, they all have the number 10 on them, and they come in stacks of 1, 2, 3, and 4. 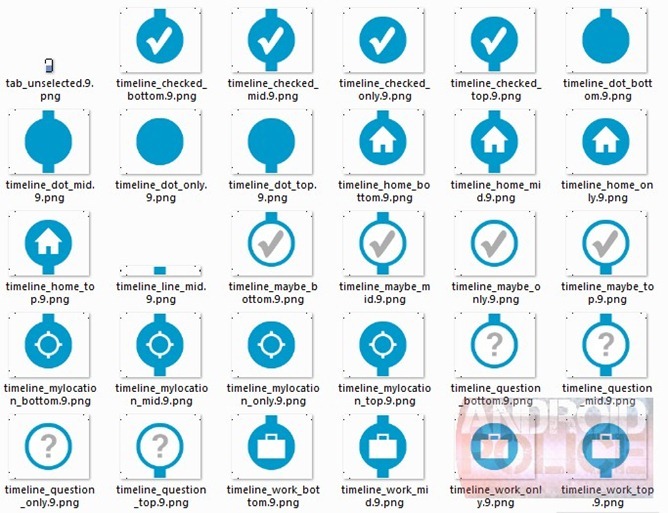 The code says they are tappable buttons that turn on and off, and there are xml files for each stack called "bucketed_price_[number]_coins_layers_[on/off]." Now when you see "layers" you might be thinking "map layers" but I assure you they are not implemented the same way as traditional layers like satellite or gas stations. 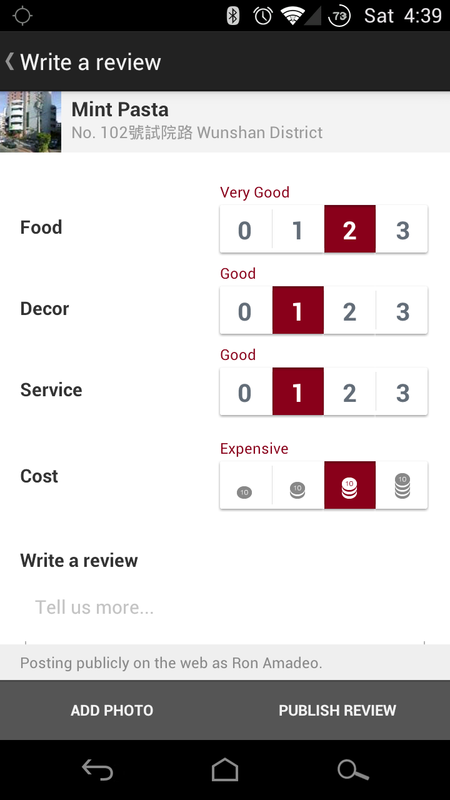 "Ratings_cost.xml" makes reference to a "bucketed_price_container," also, the text color is "burgundy," a trademark of the recently-integrated Zagat, so these coins obviously have something to do with ratings. Beyond that though, I'm totally lost. Like I said, let's hear your theories. Oh yeah, we've also got new xml references to making reservations with OpenTable, and a bicycle layer! Neat. They're used for restaurant expensiveness ratings when you are writing a review, but as far as I can tell, they are for international locations only. 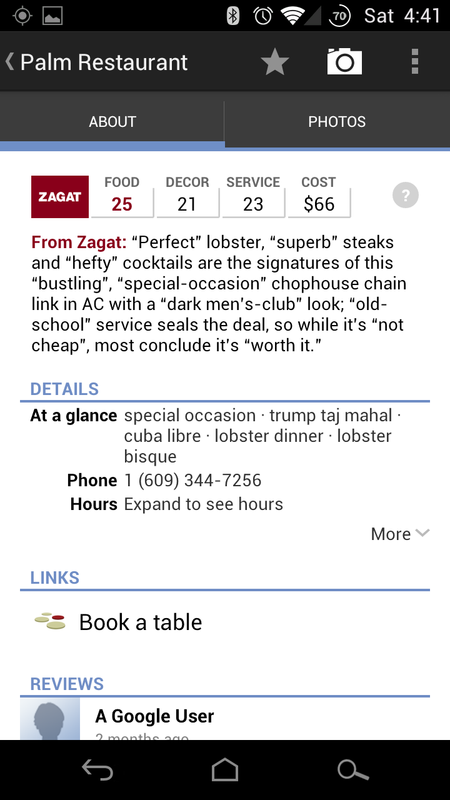 Ratings for US establishments have a "Cost per person" field and ask you to type in the correct value, even if Zagat already has an average price (which is why I couldn't find the coins anywhere). If someone can show me a screenshot of the coins for a US business I'm all ears. It turns out that Open Table is in use too. 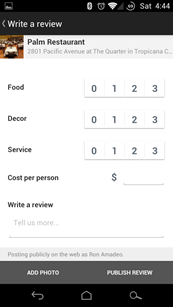 A small minority of restaurants will have a link to book a table. These features aren't guaranteed to make it out in time for Maps 6.9. In fact, they aren't guaranteed to ever see the light of day. But they are new, Google is working on them, and they are, if nothing else, interesting. So we figured we'd throw it out there for some discussion, which you can do in the comments below. Go!